The president and CEO of the live entertainment phenomenon, Cirque du Soleil, Daniel Lamarre, says virtual characters and virtual reality will soon be interacting with humans. 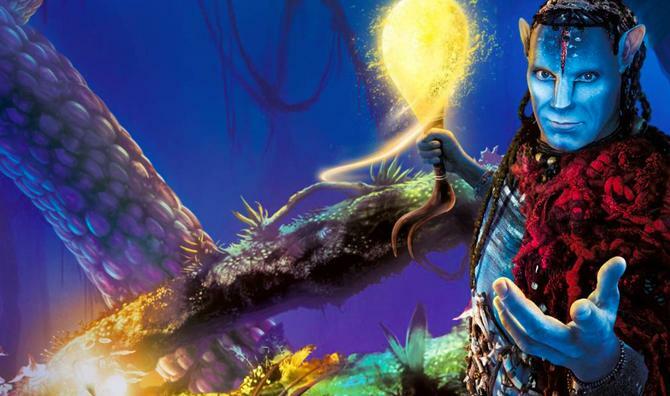 The company is already using new specially developed SAP (NYSE:SAP) technology and has been working with special effects artists and filmmaker James Cameron on their Avatar show, which can be seen around the globe. Reporter Jessica Amir (from the Finance News Network) sat down with Daniel Lamarre to find out the tech secrets behind his ground-breaking shows, and what we can expect from live entertainment in the future. They met at the World Business Forum in Sydney. Jessica: For those who don’t know, Cirque du Soleil is majority-owned by one of the largest private equity firms, TPG Capital and has been for a while now. How do you juggle the mix between business strategy and what you do with your performers? Daniel: The one thing that is important, and I always say this to our shareholders, is that I have a lot of time for them. So I’m dealing with the financial issues with my COO and CFO and we are taking care of the business side but I want to protect our creators and our artists. I always say if you have a great show you have a great business, If you don’t have a good show, you don’t have a business. So, therefore, we have to keep the freedom of the creators and the artists to come up with crazy ideas that will become great shows. Jessica: You’ve spoken previously about focusing on taking the show to emerge markets, but what is the businesses strategy for the next five to ten years? Daniel: For the future, the plan is to grow from being a circus company to becoming the global leader of live entertainment. What that means is doing more and distributing more than only circus-type shows. What people don’t realise is we have the best and most unique distribution company in the world. There is no other company that travels to 450 cities around the world. Therefore if I bring our circus show to all those cities, maybe I can bring another type of artistic content, and that’s the plan. Jessica: Do you have any investment advice? And are there any investments that you personally favour? Daniel: Well I have learned from good people, to have a portfolio that is well balanced. Because of TPG’s background, I always enjoy the new technologies, which is always risky as you know, but at the same time when there is a breakthrough, as I have seen with TPG (ASX:TPM) on Uber and Airbnb and those type of companies, the rewards are quite amazing. Jessica: Changing pace now, what do you suggest to people who are trying to be a leader and innovator like you, trying to dominate the market they operate in, without scale or budget. What’s your advice to those budding entrepreneurs? Daniel: Try to find something that has the potential of becoming a breakthrough, don’t try to be a copycat, don’t try to do what other people are doing, just try to think outside the box and be crazy. The people that have been successful are the people that were not afraid of being crazy. And craziness and creativity are what brings innovation and innovation is what makes leaders. Jessica: So what’s the craziest thing you’ve ever done as the CEO? Daniel: I’ve done a lot of crazy things. My most famous crazy idea is that I hired my own personal clown. So if I become too serious, or if I take myself too seriously, there is a clown in the room that will help me to remain calm. This clown can come to my office when I’m having a meeting and disrupt the meeting and make fun of me. Or if I do a presentation to the employees, the clown will introduce me in a funny way. It’s a symbol for me to remind all of my employees that this is the business we are in. We are not bankers. We are entertainers. Jessica: I absolutely love that. We’ve spoken about competition, investments and you also do have quarterly meetings about strategy with your Trend Group and your focus is on recruiting. You are always reinventing yourself. What is next? Daniel: Next is bringing a new type of content. I truly believe in five years from now live entertainment is going to be highly influenced by new technologies. We’re talking about virtual reality, we’re talking about virtual characters, we’re talking about 3D technology. All those technologies are going to change the way we’re doing live entertainment, but at the same time, I strongly believe that human performance is going to remain at the heart of live entertainment. So I have to be open to new technologies but keep the edge we have in human performance. Jessica: At the 2018 World Leading Business Form (Sydney) we heard a lot about innovation and augmented reality, from having the virtual glasses on to smart-computer contact lenses to flying taxis. How are you going to roll out something as innovative and edgy into your business model? Daniel: By being part of those labs. We’re working with a lot of different universities and a lot of suppliers. We have developed with SAP a good technology that we are using in our Avatar show with James Cameron. If I want to remain relevant, if I want to be ahead of the game, I have to work with the people that are innovators in new technologies. Jessica: Can you tell us what we might be potentially seeing in a few years from now at one of your shows, integrating that new technology? Daniel: I was in a lab recently when I saw a virtual character interacting with a normal human being. I think that’s what you are going to see in the future. You are going to see a virtual character reacting with normal people. Jessica: And lastly, what’s your parting message? Daniel: People don’t realise here that a huge portion of our success comes from Australia. We have a lot of Australians working in Cirque du Soleil and one of my key executives, the guy who is in charge of all the touring business, Finn Taylor, is an Australian. And your country has influenced and contributed to our success.